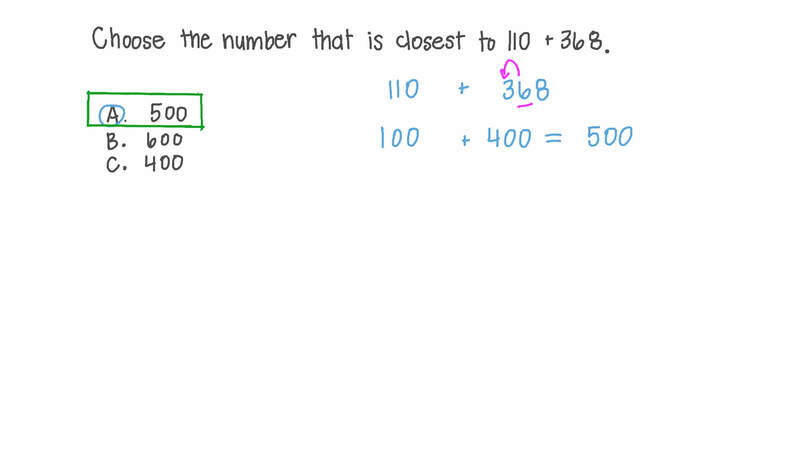 In this lesson, we will learn how to estimate the sum or difference between integers up to four digits using compatible numbers. Choose the number that is closest to 5 3 + 8 3 . 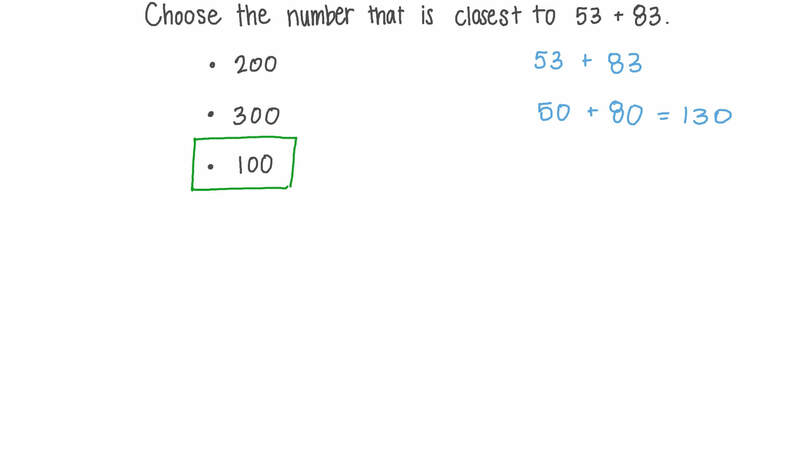 Choose the number that is closest to 1 1 0 + 3 6 8 . Which is closest to 7 , 9 0 9 − 3 , 4 5 7 ? Which number is nearest to 4 3 5 + 1 6 9 − 1 9 9 ? Which number is nearest to 4 , 8 7 7 + 3 , 1 0 3 ? Choose the number that is closest to 8 4 + 8 2 .